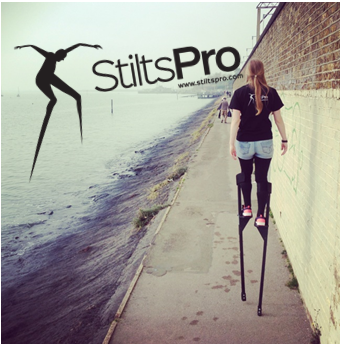 We are a stilt-walking theatre company, seeking to reach UK and worldwide audiences that need theatre the most. 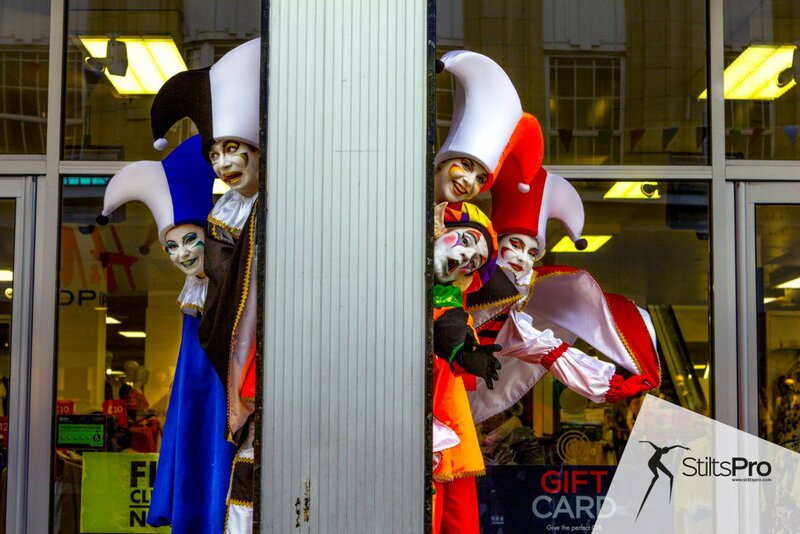 We will accomplish this by offering entertainment services for events, and street-theatre advertising solutions for businesses to fund our theatrical endeavours. Our mission – to reach to audiences underexposed to the benefits of theatre – gives us energy to keep on. Our dream is to find places in the world torn apart by wars, disaster, or unrest, and to give hope, ennoble, educate and inspire, without bias. On 1st May, starting at Southend Pier, we will travel all the way to No. 10 Downing Street in London, to deliver a message from the people of South Essex to the Prime Minister. This message will be one of community and hope, incorporating not only Southend’s request for city status, but promotion for StiltsPro’s refugee charity project and the Alternative City of Culture 2017 as well. By visiting other South Essex towns en route, we hope to add more words of support and unity to our petition to bring the people of our community closer together. By doing this walk, we also aim to break the unofficial world record for longest distance covered on stilts in 24 hours. Our minimum sponsorship of £250 will be used to organise the walk, including transport costs (such as fuel and train tickets), promotion, safety equipment, and co-ordination of teams. The rest of the money we aim to raise will be split 50/50 between StiltsPro's project to fund a full-scale workshop and performance to bring to Europe's refugee camps, and Southend's Alternative City of Culture celebrations in 2017. Our current goal is to fund a full-scale workshop and performance to bring to Europe’s refugee camps, to help enhance the lives of those living there through the arts. We believe that bringing theatre to these camps, and encouraging people not just to watch but to participate and create performances with us, will give them hope that they are not on their own. We are dedicated to inspiring creativity, imagination and fun in those who have experienced terrible ordeals that no one should have to deal with. In 2012, Southend-on-Sea Borough Council bid for Southend to become the City of Culture 2017. Unfortunately, we did not make the shortlist. Undeterred, Southend is determined to be the southern cultural heartland of the UK in 2017, where our expanse of talent will be showcased on a local, national and international level. Thanks to Sir David Amess ( MP for Southend West ), Sally Carr ( former Mayor of Southend ), David Stanley of the Music Man Project ( Southend Mencap ), Wendy Headford ( Master Performing Arts College ), Gary Lowen ( Southend Carnival Committee ), and local artists and community groups, the Alternative City of Culture Project will propel Southend forward and bring benefits to everyone in the Town – soon to be City! We have plenty of cool rewards; check out the boxes!